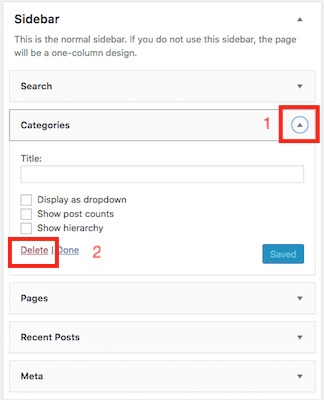 This document will walk students through removing widgets from a WordPress sidebar on the Home page or subsequent pages. You'll notice you're editing the "Sidebar." 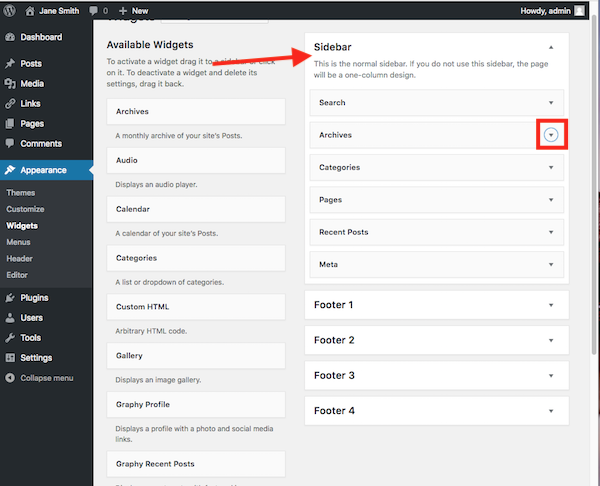 This means that if the theme allows, these widgets will display on the sidebar of the pages or posts. To remove the un-used widgets, expand the arrow, then delete the widget. 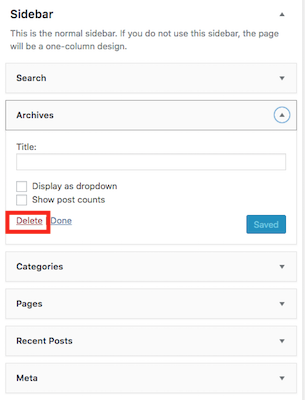 **Note: This does not permanently delete the widget functionality--it just removes it from the sidebar.